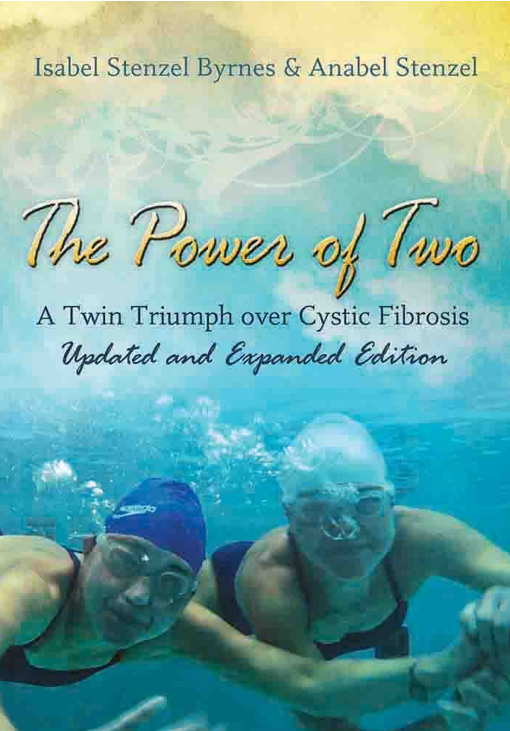 An updated and expanded edition of “The Power of Two: A Twin Triumph Over Cystic Fibrosis,” the memoir that inspired the documentary of the same name, is now available. 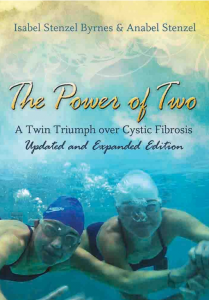 The book has a new 50-page afterword by Isabel “Isa” Stenzel Byrnes and Anabel “Ana” Stenzel, completed shortly before Ana’s death from cancer in September 2013, that carries the story forward from Isa’s miraculous double-lung transplant to the twins’ emergence as authors, athletes and global advocates for cystic fibrosis awareness and organ donation, and to their enduring love and gratitude as Ana faces her final chapter. The twins’ receiving new lungs would have been unlikely in their mother’s native country, Japan, where organ donation rates are strikingly low. At the crux of a rising movement to change laws and stigmas, Ana and Isa embarked on a tour of Japan to inspire change in the hearts and minds of a culture resistant to transplantation. Back in the U.S., the twins thrived, rejoicing in their ability to breathe with healthy lungs, sharing their story, mentoring others on the same path, and experiencing unexpected life milestones. Isa will read from the new edition and sign copies on Thursday, Oct. 23, at 7 p.m. at Books, Inc., 74 Town & Country Village, Palo Alto. Info: www.booksinc.net/. To order the book, go to www.thepoweroftwomovie.com/the-book/.